This B2B DJ set was recorded in October 2018 live at Club Lehmann, Stuttgart - Germany. This month Sleaze Records are welcoming me to their Podcast series. In relation to my new original track 'Holographic' out this week on the labels 10 years various artists album. Hot on the heels of the stunning remix package last month, Sleaze Records has an outstanding batch of original tracks produced by some of our favourite artists! Featuring Gary Beck, Truncate, Cari Lekebusch, Rebekah, Alex Bau, Kyle Geiger, Progression & Hans Bouffmyhre. Time for the second part in the co-op series between Cari Lekebusch and Orion. 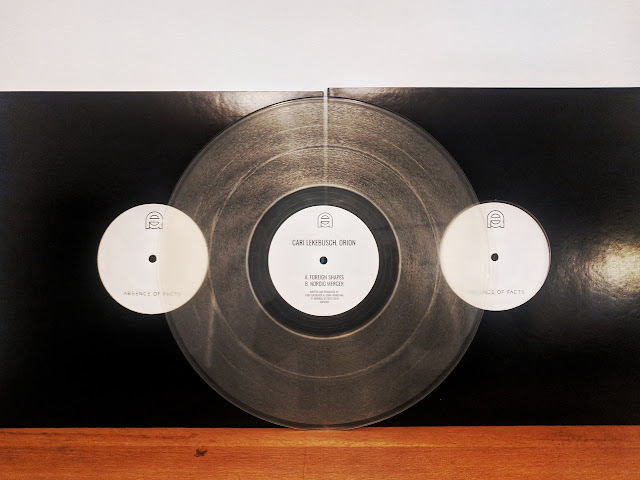 2 tracks on a transparent limited vinyl and one digital bonus track.